I’m just popping in quickly to let you know that I have a new pattern available in the current issue of Quilty magazine; March/April 2018. 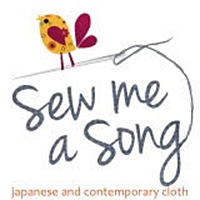 It’s available in stores and on the Quilty website, both in print and digitally. 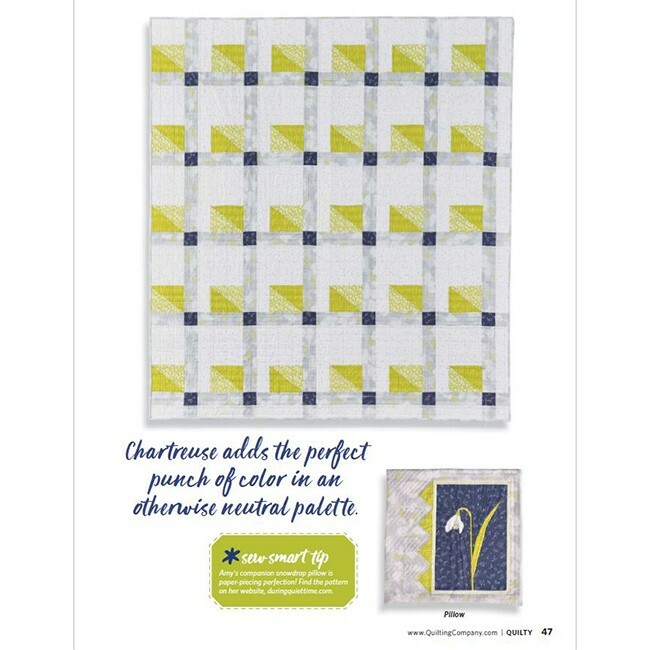 The quilt uses the grey and citron fabrics from my Improv fabric collection. 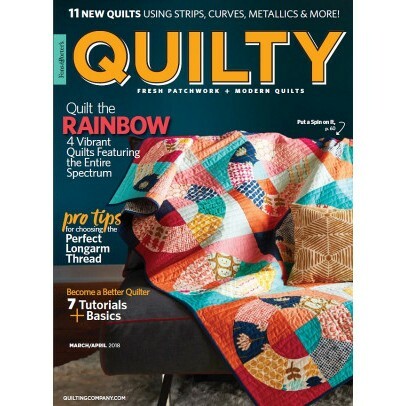 The quilt is listed as intermediate in the magazine, I think because it isn’t entirely a repeated block. If you look at the quilt, you will see that the outer edges are different, so you need to think a little bit at assembly time. But I think it’s pretty easy, certainly easier than most of my paper pieced patterns! 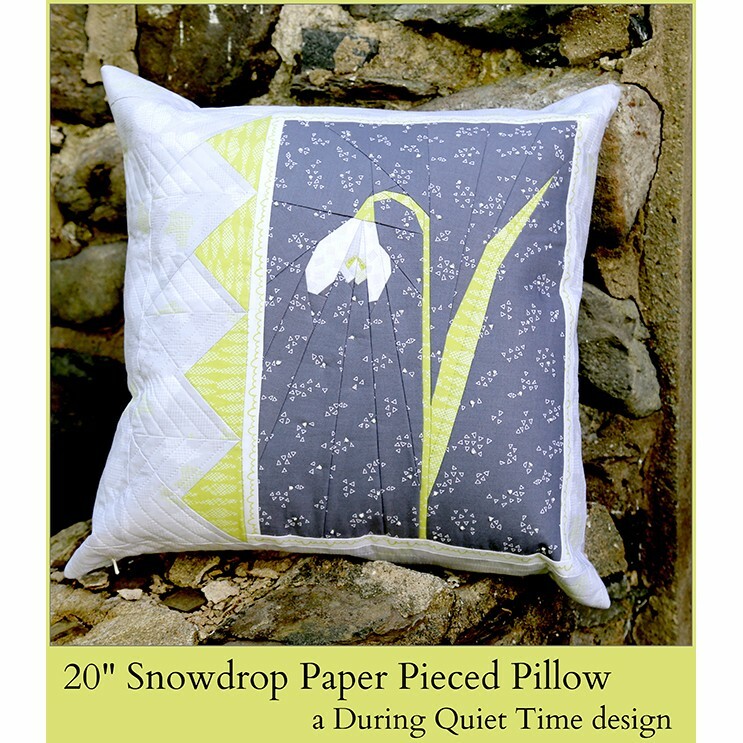 It was created as a companion to my Snowdrop pillow pattern pictured in the lower right. You can purchase that pattern as a pdf in my pattern shop, on Etsy, or on Craftsy. These are just in time for spring! Snowdrops and crocus are all that we have in bloom here. Currently, they are getting snowed on. Ugh!